The Colchester Orchestra with Nigel Clayton as piano soloist gave a concert at St. Botolphs Church. The the programme included Bach, Schumann and Tchaikovsky. 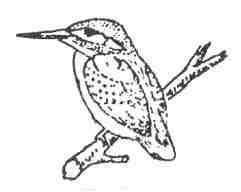 Please note that the picture is the logo for The leader, Beth Spendlove's Kingfisher Ensemble, in which Nigel is the pianist at need.